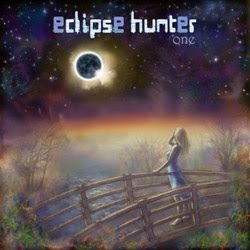 An independent label NewRock Music signed Eclipse Hunter to release their debut album – “ONE” on September, 28th (Russia, CIS & Baltic States). The album was recorded at Black Obelisk studio; mixing and mastering were done by Dmitry Borisenkov (Black Obelisk). Vladimir Ermakoff (Mechanical Poet, Black Obelisk), Richard Ofsoski (Sedition, Ofsoski), Max Oleynik (Ivan Tsarevich, Anj), Yuri Kondrashov (Melancholy) and Alexey Korovkin (Callisto) also contributed their talents to record this long-awaited album.